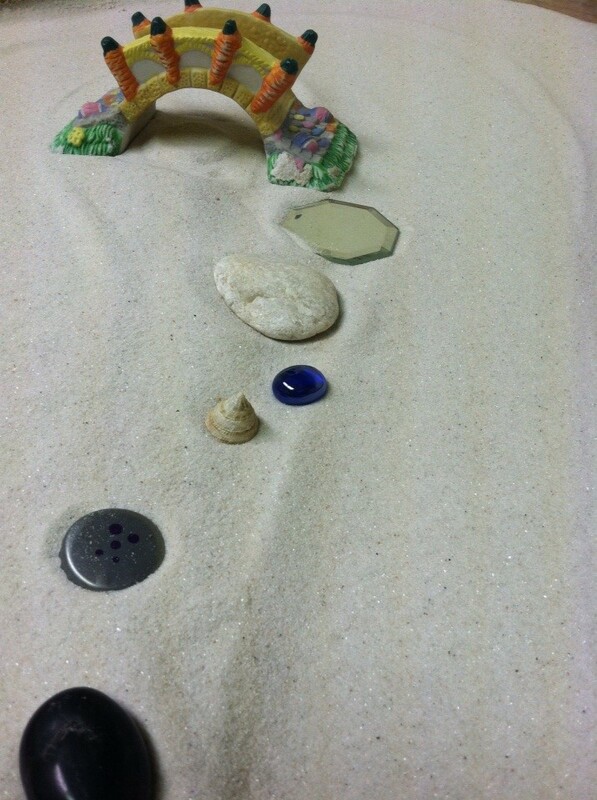 At Tierra Nueva Counseling Center we invite you to participate in sandplay therapy. Sandplay is not just for children, although young people respond to it naturally. As adults we can utilize the tray to frame our inner experiences, allowing the subconscious to arise through figures and forms that relate to one another in the tray. The tray can serve as a container for our emotions and begin to reflect meaning to ourselves through imaginative play, story and creation. 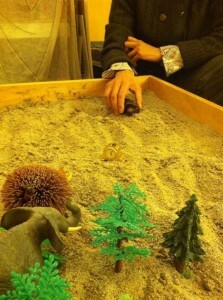 Dora Kalf, originator of sandplay, studied with Carl and Emma Jung at the Jung Institute in Zurich, Switzerland (Kalf, 2003). But later, in her own practice, she developed what is known today as sandplay. With the success of this technique for children, she suggested to the parents that they try it for themselves. It became evident that this non-verbal therapeutic method was effective across the board. At Tierra Nueva Counseling Center we find that having a variety of resources for our clients is invaluable to the therapeutic process. We just recently added two brand new sandtrays donated by Laura Lopez and her family. They created them out of love and in memory of their beautiful daughter. We are continuously getting donations of figurines as well to add to our large sand tray collections. 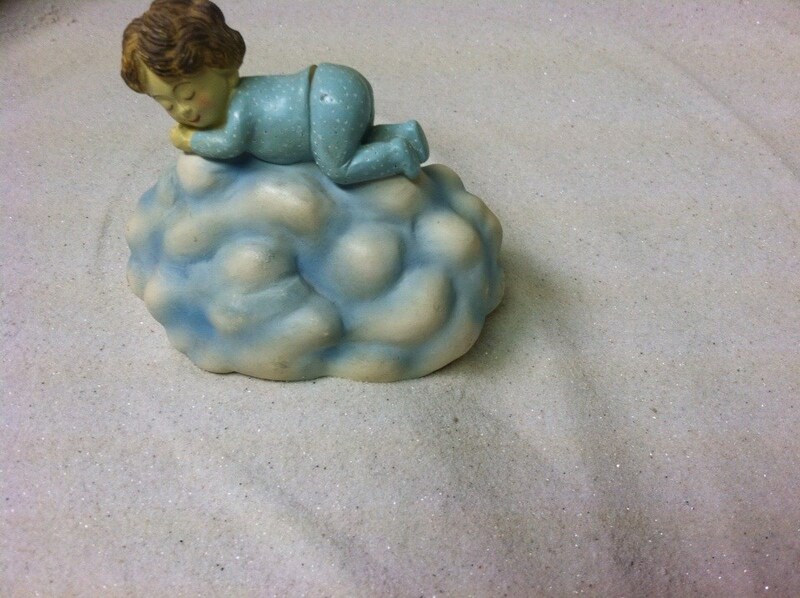 We have two rooms dedicated to working with sandplay, including both wet and dry trays. This creative modality is a great way to tap the unconscious, work with dreams, tell a story or simply play! I hope you get the chance to experience this wonderful medium soon.